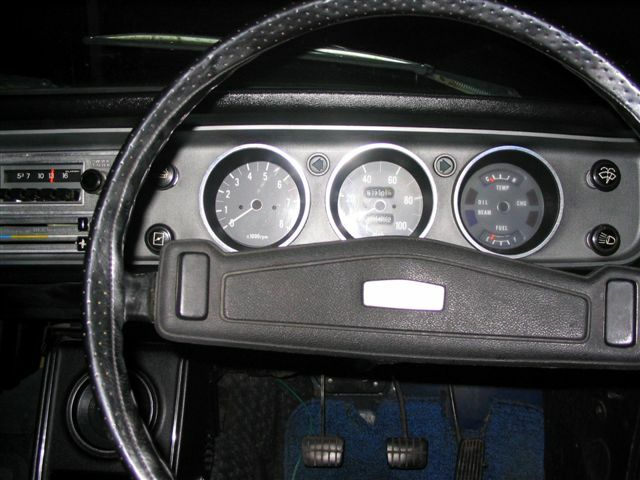 Photo of the dash fascia of the coupe. All markings intact and original radio. Dash pad is mint ! !